In a world of six billion people, it only takes one to change your life. 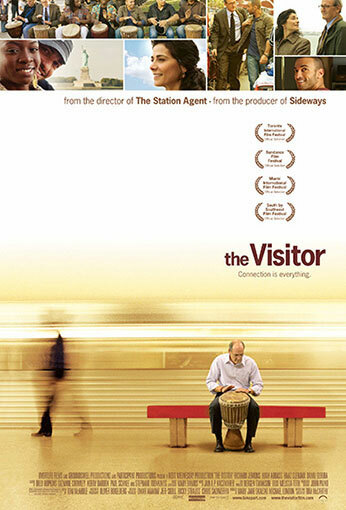 In actor and filmmaker Tom McCarthy’s follow-up to his award-winning directorial debut The Station Agent, Richard Jenkins (Six Feet Under) stars as a disillusioned Connecticut economics professor whose life is transformed by a chance encounter in New York City. Touched by his kindness, Tarek, a talented musician, insists on teaching the aging academic to play the African drum. The instrument’s exuberant rhythms revitalize Walter’s faltering spirit and open his eyes to a vibrant world of local jazz clubs and Central Park drum circles. As the friendship between the two men deepens, the differences in culture, age and temperament fall away. After being stopped by police in the subway, Tarek is arrested as an undocumented citizen and held for deportation. As his situation turns desperate, Walter finds himself compelled to help his new friend with a passion he thought he had long ago lost. When Tarek’s beautiful mother Mouna (Hiam Abbass) arrives unexpectedly in search of her son, the professor’s personal commitment develops into an unlikely romance. And it’s through these new found connections with these virtual strangers that Walter is awakened to a new world and a new life.